As exclusively revealed at today’s DWAS Capitol II convention Big Finish have announce that Torchwood is back for a brand new audio series with Torchwood: Aliens Among Us. Following the events of Miracle Day, the Torchwood team is reunited, and Captain Jack, Gwen and Rhys are joined by new characters co-created and overseen by Russell T Davies. 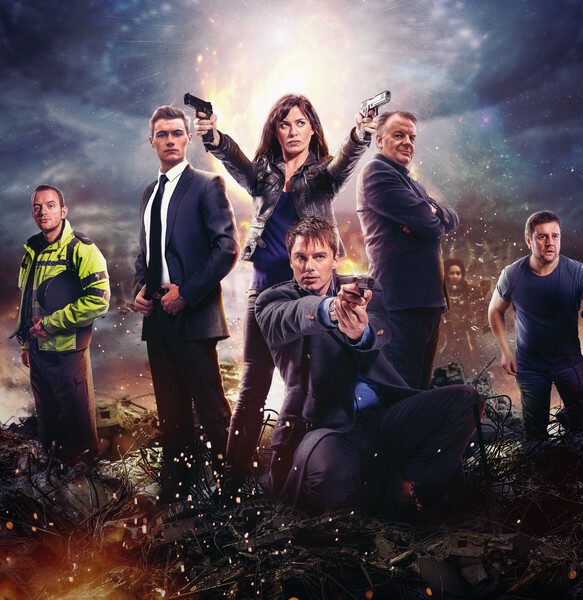 The series will star John Barrowman, Kai Owen, Tom Price and Eve Myles. In this series, Captain Jack and Gwen Cooper have restarted Torchwood in Cardiff, home of the original Torchwood Three. But it’s in a very different Cardiff. Something terrible’s happened to the city. With every day getting darker, will Torchwood need to adopt a whole new approach?